Filled with delicious flavor and premium bubble gum inside, our entire range of Big Boll Inside Bubble Gum Lollipop is of unmatched taste. 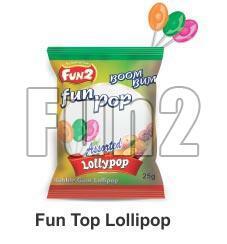 Buyers can purchase the Bubble Gum Lollipop from us in bulk and expect timely delivery. © Copyright 2009 - 2010. Bakewell Biscuits Pvt. Ltd.